The following people have helped this site by being very generous in suppling pictures, scans, and actual items for me to use. If I haven't said this enough, "THANKS!!!". Al Backiel - scans and information. Dan Boris - information, emulator, MESS driver... basically all things technical. Thanks again Dan. Juergen Buchmueller - MESS driver, bug fixes and improvements. Garth "Tony" Clowes - CEO and Chairman of Entex Industries, Inc.
Andrew Davie - scans and information. Will Fong - scans and information. Dave Grohowski - ROM backups. Tsuneo Hanzawa - Entex Industries, Inc. Tokyo division manager for 8 years. Greg Kiner - items for website. Thanks again Greg. Tim Lindquist - ROM backups. Robert McCaslin - Entex Industries, Inc. 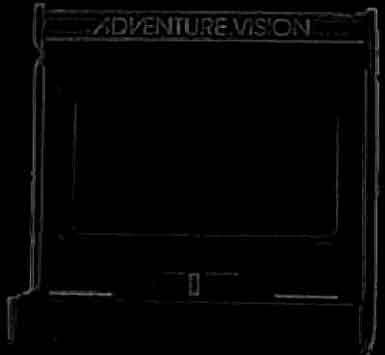 CREATOR of the AdventureVision system. C. Miller - items for website. Ward Shrake - ROM backups, scans and information. Tom Spilliaert - items for website.